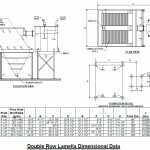 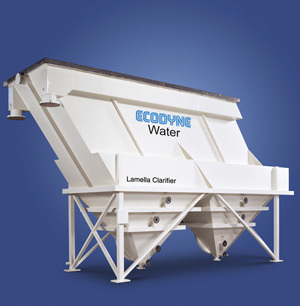 The Graver Lamella design utilizes inclined plate clarification to separate solids from the water and clarify the water. 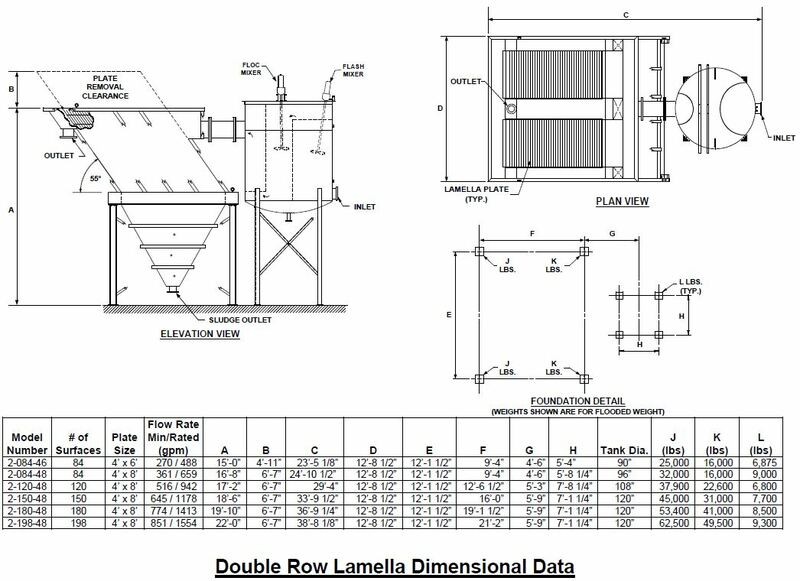 The lamella is composed of a series of removable parallel plates commonly referred to as “lamella plates”. 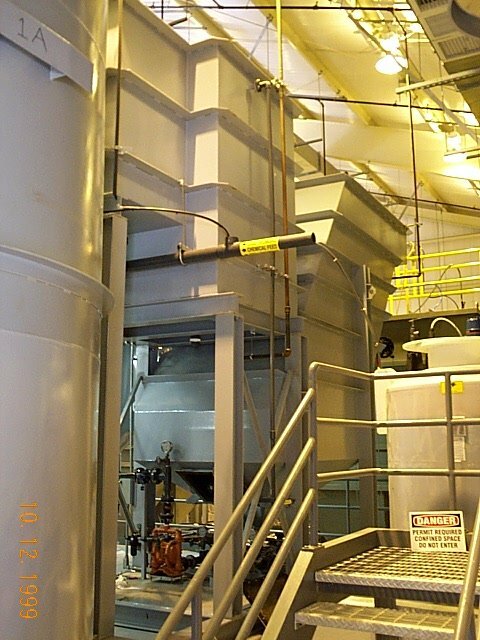 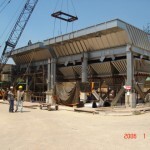 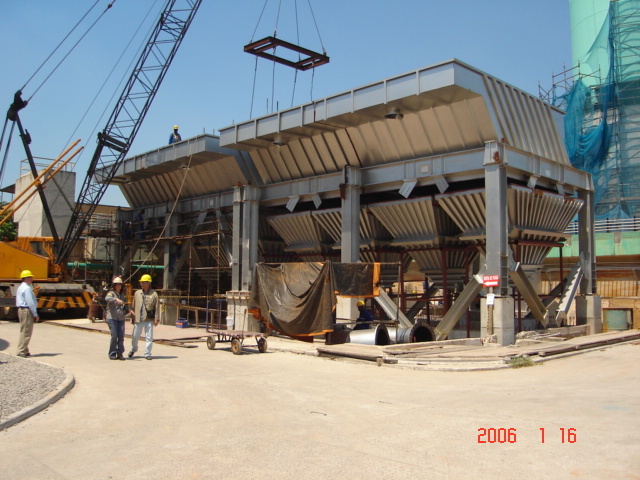 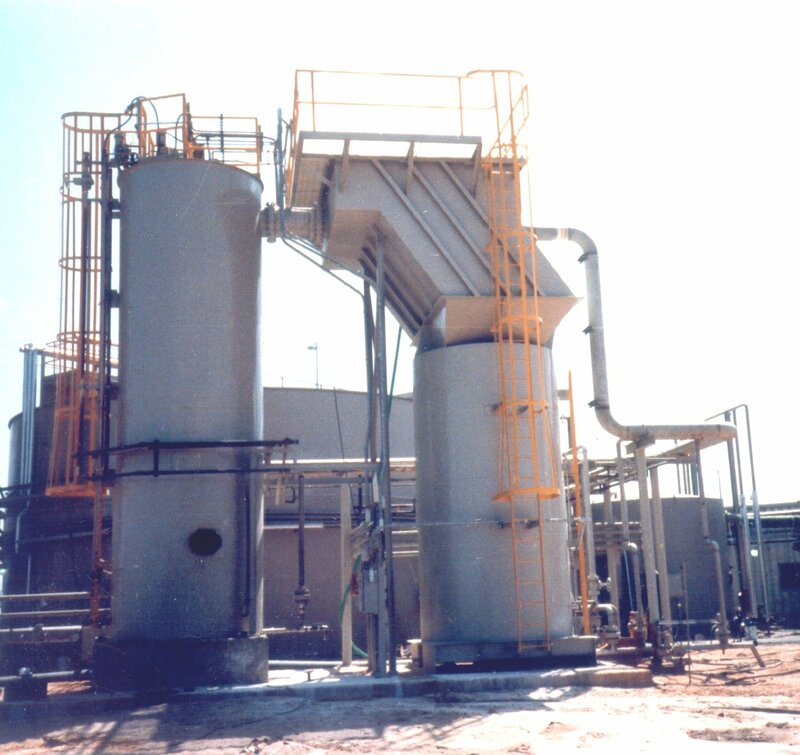 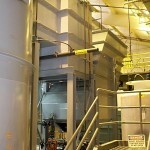 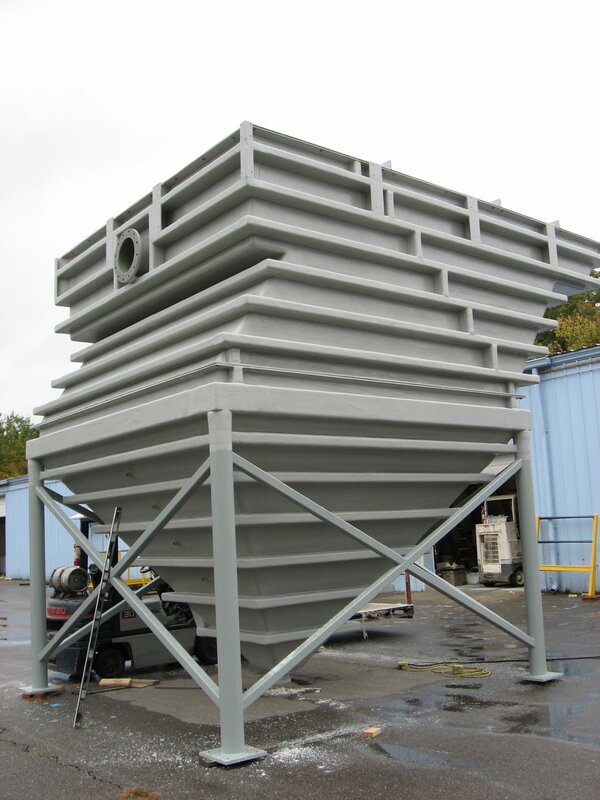 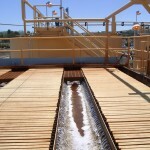 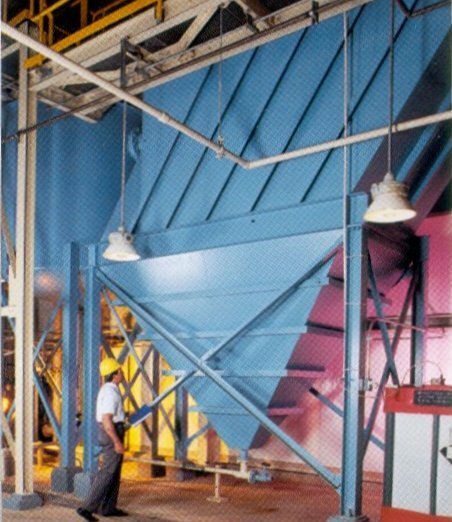 Stacking the inclined plates results in a separator having up to ten times the clarification area of a conventional circular settling tank occupying the same floor space. 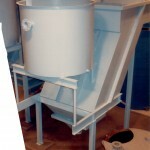 To put it another way, it does the separator job in 1/10 the space. 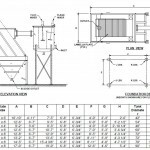 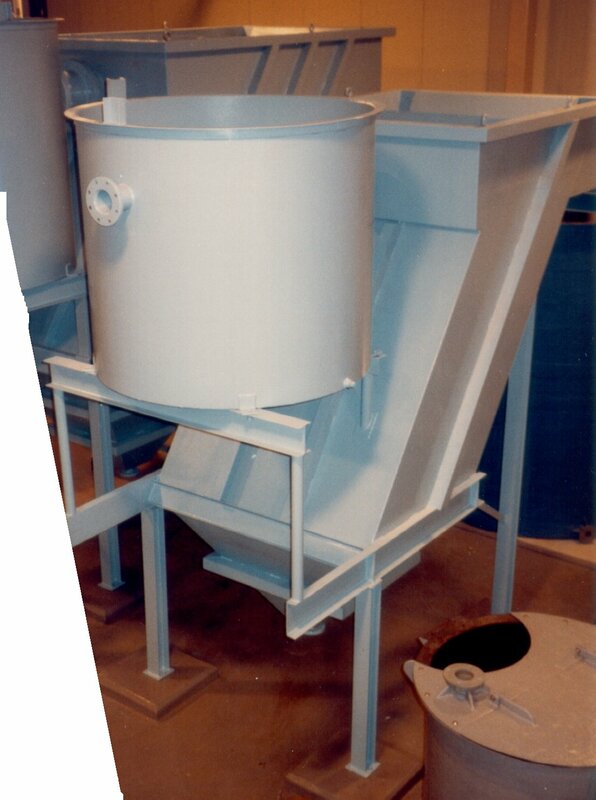 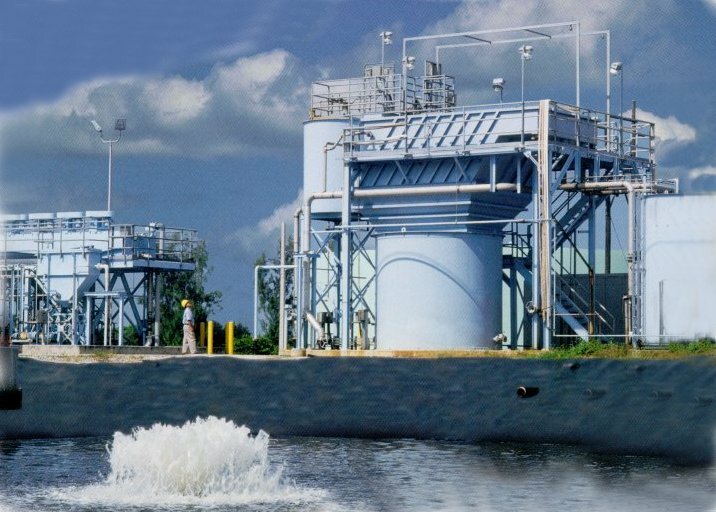 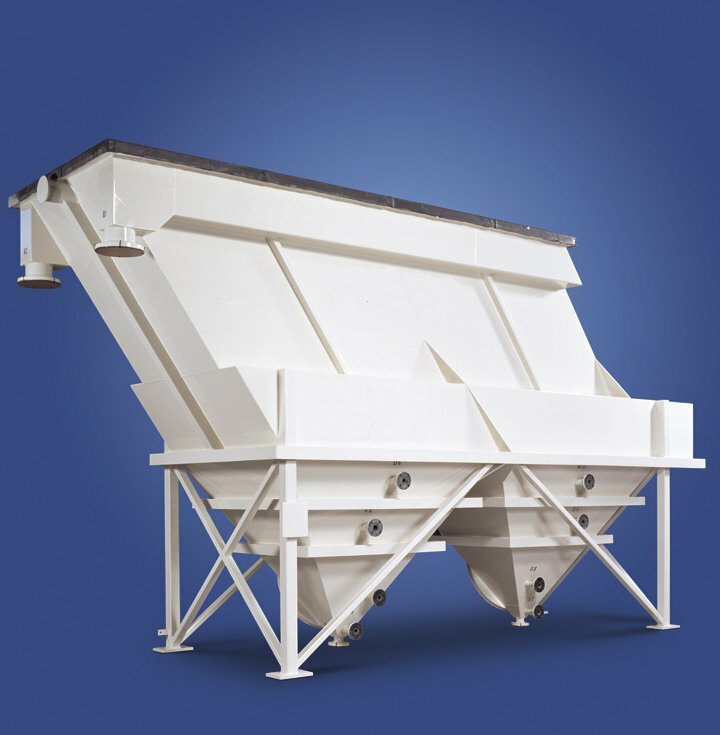 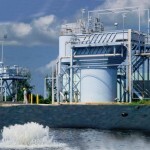 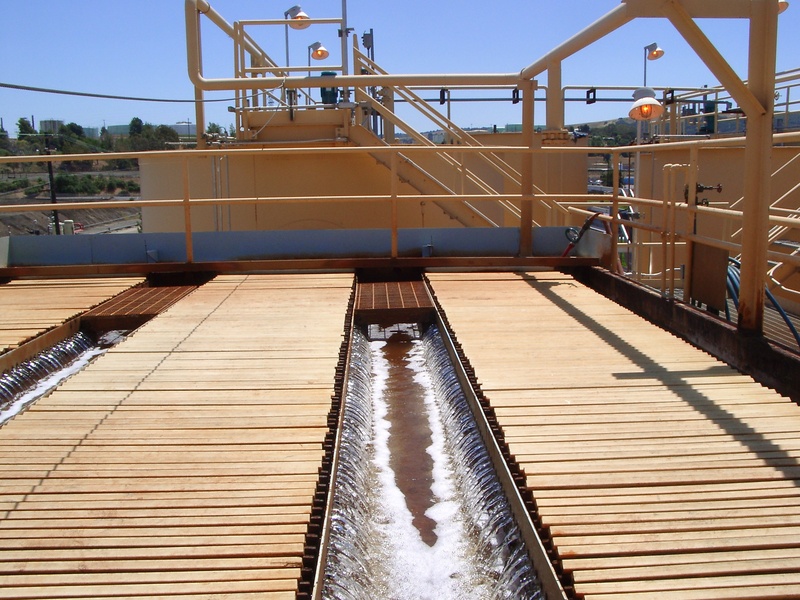 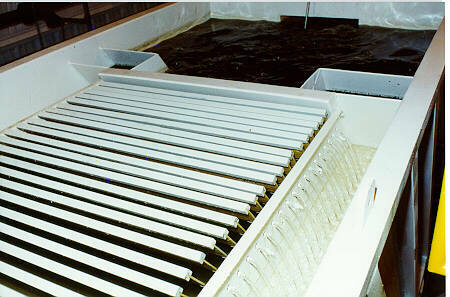 Graver’s design assures laminar flow conditions that result in hydraulic uniformity and high effluent quality. 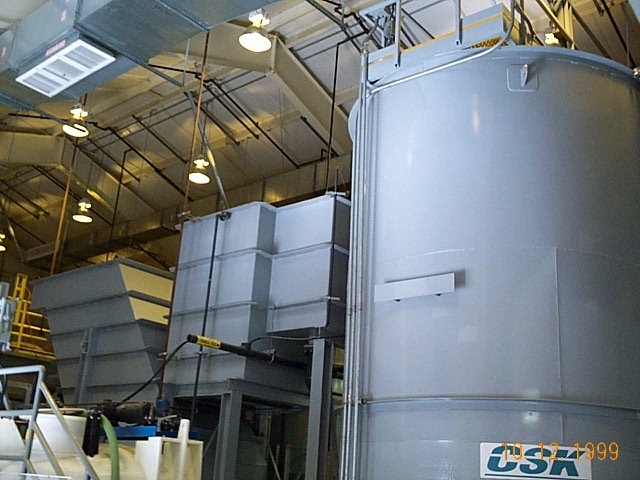 The compact footprint results in a great reduction in the space needed for clarification equipment and can be installed indoors if desired, or be easily relocated at a later date. 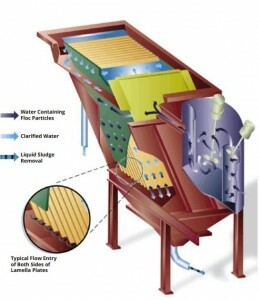 Lamella sedimentation separates solids from a carrying liquid by directing the material between a series of inclined plates (sometimes referred to as lamellae). 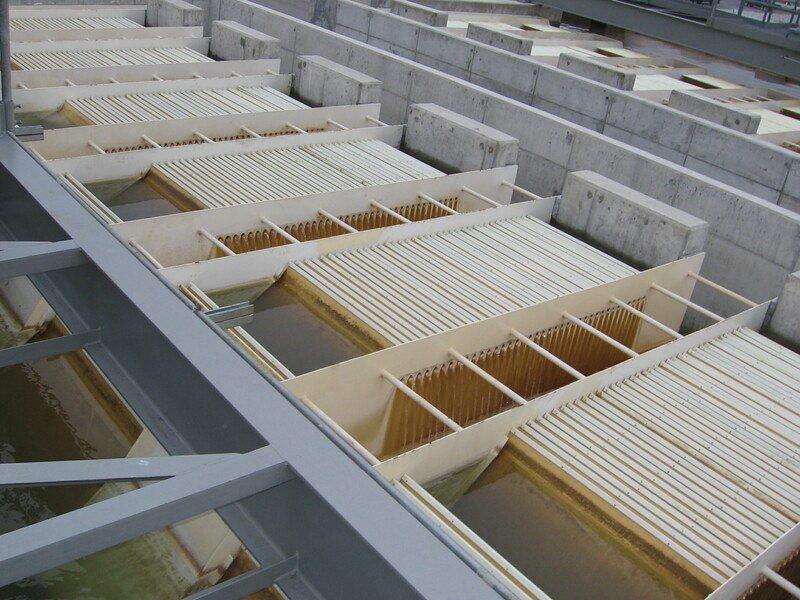 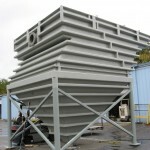 The plates, arranged in close proximity, divide the lamella tank into several integral sections or chambers. 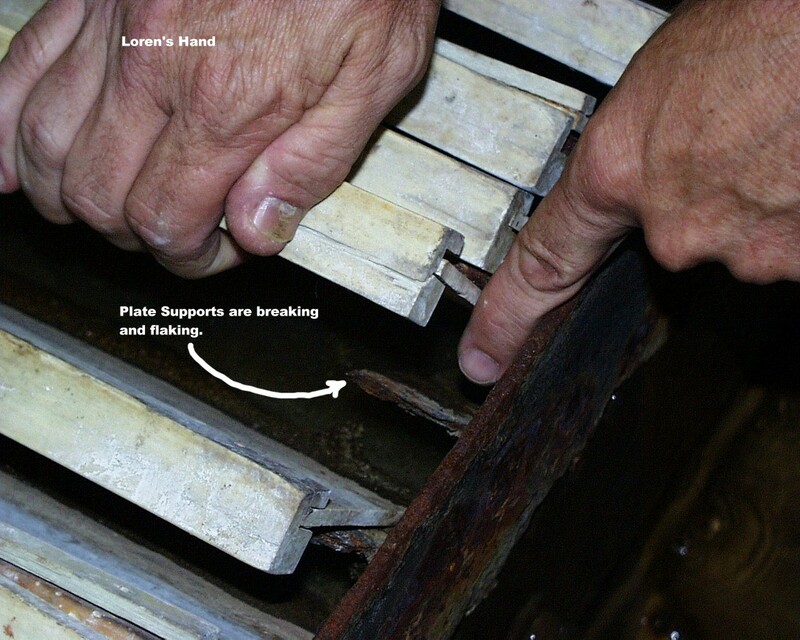 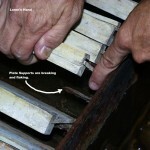 Only one side of each chamber, the top surface of a plate, provides a settling surface. 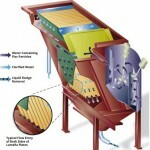 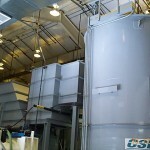 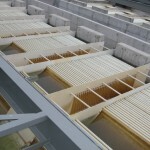 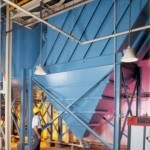 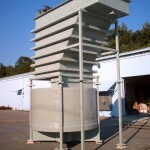 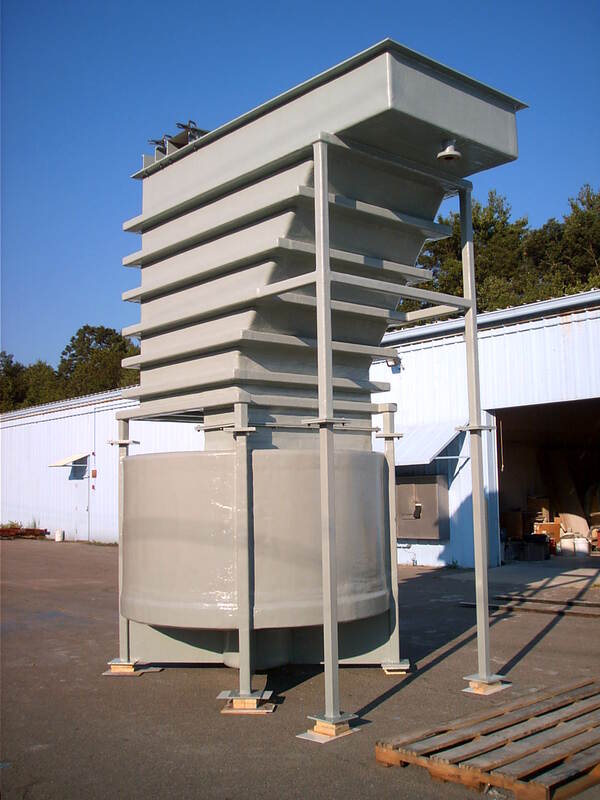 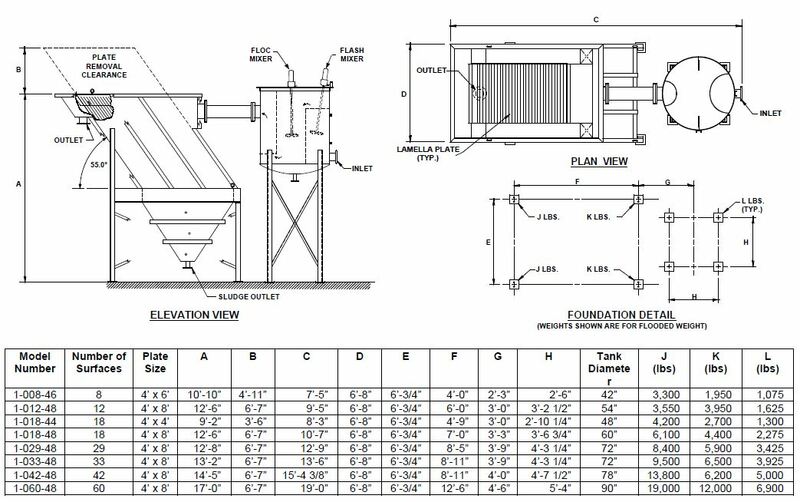 The pretreated feed stream enters the lamella tank and transverses through feed ducts longitudinally, along each side of the lamella plates, through a bottomless distribution duct. The liquid and solids feed stream then enters each plate chamber near the bottom section of the plates and flows upward between them. 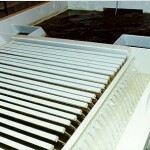 As the feed stream moves upward, solids settle downward by descending a short distance onto the surface area provided by the plates. Solids continue to slide down the plate surfaces to a collection hopper.